The Collective Impact framework allows Bright Beginnings to implement a proven road map for the Initiative. 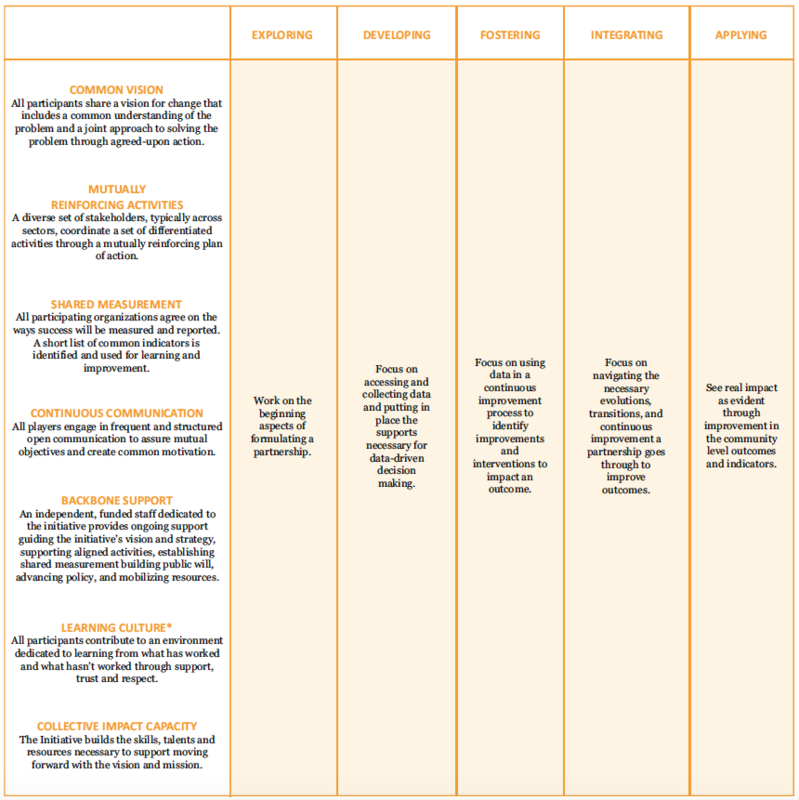 Based on lessons from leading organizations in the Collective Impact Community, Bright Beginnings developed a Theory of Action that offers quality benchmarks that differentiate the phases of the work within the five stages of Collective Impact. The Theory of Action helps distinguish when the work transitions from traditional collaboration to sustainable, effective partnerships. It includes the 5 core elements of Collective Impact as well as 2 cross cutting elements that support the work of each of the core elements. See the Monterey County Children’s Council website for the full Theory of Action. The categories with an asterisk (*) were added in alignment with the FSG evaluation framework.